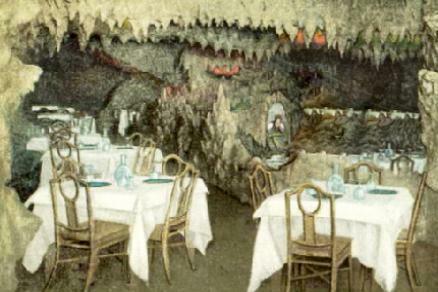 forerunner to the famed Blue Room which opened in 1935.
by Seymour Weiss, who managed it for over thirty years. Weiss was a confidant of Gov. 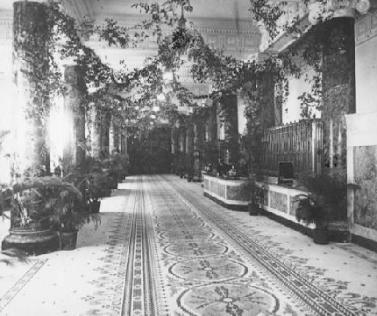 Huey Long and the governor regularly used the hotel as a home-away-from-home. 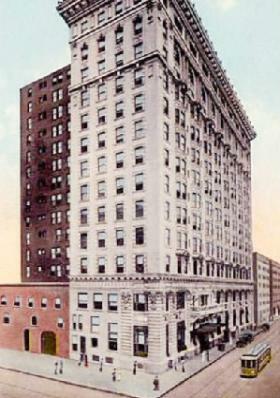 Fairmont, though most locals continued to call it The Roosevelt. over $170 million dollars and, in 2009, it re-opened under its historic Roosevelt name. It is now a jewel in the crown of Hilton's prestigious Waldorf-Astoria line. The city welcomed it back with the sort of celebration only New Orleans can muster. the re-opening of The Roosevelt was just such a joy. 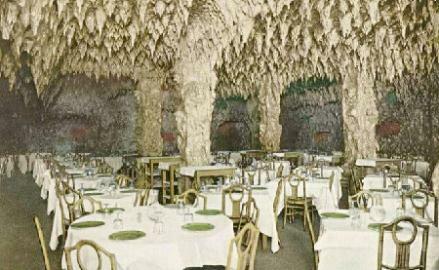 Grunewald's main dining room, 1911. Canal and extending to University Place. largest and finest hotel in the South. first-class rooms, each with a bath." club. A 100% air-conditioned hotel." Date unknown. center, the old Sears store. and came away with lots of interesting celebrity stories. exits one of his trademark Cadillacs at The Roosevelt's entrance, 1958. 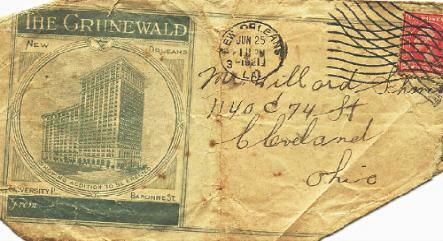 1923, I would doubt that many Grunewald envelopes survive today.